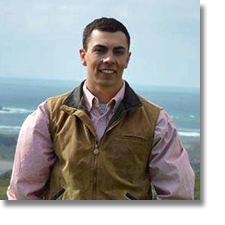 “I’m proud to say that my parents involved me in Ag at a young age,” remarks Steven Pozzi, a sixth generation cattle rancher from Petaluma, California. “Day to day chores on the ranch and attending plenty of Farm Bureau meetings gave me real world experience and first-hand knowledge of the challenges agriculturalists face”. Steven took the skills he gained on the ranch and applied them to an Agricultural Business degree at California State University, Fresno. Upon graduating in spring 2019, Steven will return to help manage the family operation.